I started my career at Director's Choice as a part-time assistant in 2005. 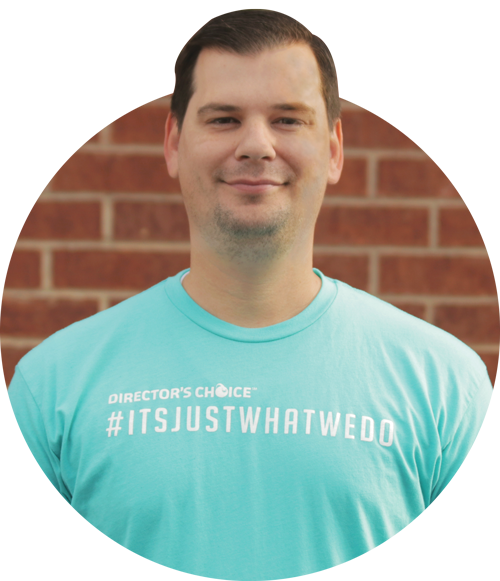 Director's Choice is part of who I am! You won't find a more experienced and service oriented team. We are constantly searching for new ways to exceed you and your students' expectations and hope you'll call us now! Hidden Talent: I'm a percussionist. I don't own a dining room table because it would get in the way of my drum set, marimba, piano, steelpans, various hand percussion instruments, and stereo. Random Fact: Davis, my 18 month old son, thinks we need more drums. Marcie, my patient and loving wife of 10 years who claims to love hearing me play, thinks we need a dining room table!